Fancy a sip of deep, hypnotic rhythms, spiced up with dark and dusty vibes? Niki Sadeki, based in Vancouver and born in Iran, delivers an terrific energizer for you to kick off this week: the Pomegranate Margarita! The pomegranate fruit has been used throughout history of Persia, it is called “Anar” in Persian and was known as fruit from paradise and therefore planted around many worship locations. It also had industrial usages, traditionally the thick layer of red pomegranate skin was used as color sources for coloring carpet wool, hair color and fabric. Also Niki Sadeki is an incredibly versatile artist and DJ: She is the host of the monthly podcast series 'Allure' on Frisky Radio. Due in no small part to her popular online mixes, she has steadily gained recognition within the dance music community. With her dedication and untiring perseverance, Niki has managed to put herself on the map as an up and coming DJ and musical artist within a very short time. With music at the forefront, she has been playing in renowned venues around the globe. With a focus on deep, melodic and ethereal dance music, Niki conveys her expression of life to listeners and engages crowds through her live sets when she’s behind the decks, and through dozens of podcasts and studio mixes. 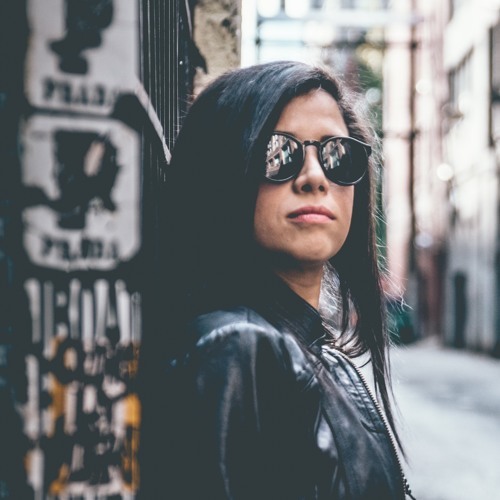 Niki is also the founder of Deep House Vancouver, a platform dedicated to showcasing DJs, musicians from various genres of electronic music through carefully crafted podcasts, premieres and releases. What a mix, thank you!